College football bowl season is almost over and after seeing many bad games played by less than stellar teams in sometimes nearly empty stadiums I decided to look at attendance, team records, game results and the money machine. It really is an amazing machine that the NCAA has set up. Of the 35 bowl games, 32 have been played. 70 teams have or will have played in post season bowl games this year. Of the approximately 2,261,902 available seats in the already played games about 1,497,113 were filled, about 66% of the available seats. In all about $273,586,425 will be paid to the athletic conferences and schools sending teams to bowl games. The attendance numbers at the remaining three games should move the overall percentage up a bit but I expect that the total number of seats filled at the games will be under 70%. The biggest game payouts go to the four BCS bowl games and the BCS Championship game which are $17 million dollars per team, $18 million for the championship game. Since attendance and ticket sales cannot possibly cover these kinds of payouts. 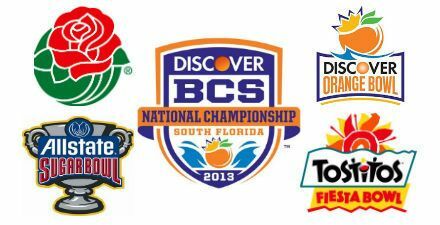 For the BCS games alone ESPN which has the current contract is approximately $125 million a season. This does not include the Rose Bowl which had a previous contract with ABC. The other bowl games, many of which are also carried by ESPN bring in more television revenues. The format will change in 2015 and ESPN will air the BCS playoff games and the National Championship Game. The contract for 84 games over a 12 year period is worth $7.3 billion or about $610 million a year. Television revenues are also distributed to the conferences which in turn distribute them to their teams. Despite the money involved for some schools lose money by going to a bowl due to the costs of travel and lodging for the teams as well as bands and other school officials. Where does the money go? It goes to the athletic conferences who then dole it out to their programs. The players get none of the revenue. Some are on scholarships but the amount of scholarship money pales in comparison with the money brought in. The players images are bought and sold but they get nothing and if if a player so much as sells a jersey he has worn he can be disqualified from the NCAA. The proliferation of the bowls has led to many games where teams with marginal records have played including one team with a losing record. However on the plus side of this the games are a chance for college players, most of whom will never see a professional football contract one last chance under the the lights, one last chance at glory. It also serves as a boost for the schools, their fans, alumni and boosters. Since a lot of the schools are smaller and in small television markets the bowl games give them national exposure that they would not get elsewhere. Some of this actually draws students to them. The sponsors of this years games are an interesting collection. They include defense contractors, oil companies, retailers, clothing manufacturers, banks and other financial services, insurance companies, online services, transportation companies and even the leading owner of online college education programs and universities. That last one is pure irony since they sponsor no athletic programs of their own. Some of the sponsors are controversial. The Gildan company is a large sportswear company with a long history of reported worker rights and abuses. Many of the bowls have gone by different names as the years have gone by including some the the older games. Many of gone by other monikers and have changed their name whenever a new sponsor took charge. One example is the Chick-fil-a Bowl in Atlanta. For decades it was known as the Peach Bowl but when Chick-fil-a took it over that long held name was consigned to history. It is interesting because if you look at attendance and the money that is made it is obvious that the NCAA, which shamelessly uses the young men playing in these games is making money hand over fist. I wonder how much is actually going toward education, especially in an age of austerity where education programs are being cut. The money is in the billions, not millions, but billions. One has to ask. I mean really. It seems to me that the NCAA is playing the pimp here, with us as the customer. The indirect beneficiary of the bowl games and the NCAA college football programs is the National Football League which does not have to pay for a minor league system as does major league baseball. I have listed the bowl games for this season, their sponsors as well as their attendance, results and payouts below. Gildan New Mexico Bowl, University Stadium Albuquerque New Mexico (39,224/24,610 62.7%) Arizona (7-5) 49 Nevada (7-5) 48. The sponsor Gildan has a long history of worker rights complaints and abuses in Canada, Central America and in Haiti. It make low cost t-shirts and other garments and is the largest supplier of blank sports apparel in the world. Payout $456,250 per team. Famous Idaho Potato Bowl, Bronco Stadium Boise Idaho. (37,000/29,423 75.4%) Utah State #22 (10-2) 41 Toledo (9-3) 15. Now Sponsored by the Idaho Potato Commission. Payout $325,000 per team. 21,759The last sponsor Roady’s Truck Stops called it the Humanitarian Bowl, a name that the game lost when uDrove became the sponsor and moved it to Payout $325,000 per team. San Diego County Credit Union Poinsettia Bowl, Qualcomm Stadium, San Diego California (70,561/35,422 50.2%) BYU (7-5) 23 San Diego State (9-3) 6. Payouts $500,000 per team. Beef O’Brady’s Bowl, Tropicana Field Tampa Florida (42,735/21,759 50.9%) UCF (9-3) 38 Ball State (9-4) 17. Payout $500,000 per team. R & L Carriers New Orleans Bowl, Mercedes Benz Superdome New Orleans Louisiana. (73,208/48,828 67%) Louisiana Lafayette (8-4) 43 East Carolina (8-4) 34 Payout $500,000 per team. MAACO Bowl, Sam Boyd Stadium Las Vegas Nevada (36,800/33,281 90.4%) Boise State #19 (10-2) 28 Washington (7-5) 26 Payout $1.1 Million per team. Waiting for the Earl Scheib or Bondo Bowl. Little Caesar’s Pizza Bowl, Ford Field Detroit Michigan (65,000/23,310 35.8%) Central Michigan (6-6) 24 Western Kentucky (7-5) 21 Payout $750,000 per team formerly known as the Motor City Bowl. Terrible turnout to damage an otherwise nice baseball field. Military Bowl Presented By Northrop-Grumman, Robert F Kennedy Memorial Stadium, Washington DC (56,692/17,635 31.1%) San Jose State (10-2) 29 Bowling Green (8-4) 20 Payout $1 million per team. Belk Bowl, Bank of America Stadium Charlotte North Carolina, (73,778/48,128 65.2%) Cincinnati (9-3) 48 Duke (6-6) 34 Payout $1.7 per team. Formerly known as the Meineke Car Care Bowl. Bridgepoint Education Holiday Bowl, Qualcomm Stadium San Diego California (70,561/55,507 78.6%) Baylor (7-5) 49 UCLA #19 (9-4) 26. Payout $2,075,000 per team. The biggest owner of for profit schools a without football of its own hosts a bowl. Advocare Independence Bowl, Independence Stadium Shreveport Louisiana (53,000/41,853 80%) Ohio University (8-4) 45 Louisiana Monroe (8-4) 14. Payout $1.1 million per team. Russell Athletic Bowl, Orlando Florida (65,438/48,127 75.3%) Virginia Tech University (6-6) 13 Rutgers University (9-3) 10. Why can’t we have the Bike Athletic Supporter Bowl instead, I would love to see the “cup.” Payout $2,275,000 per team. Meineke Car Care Bowl of Texas, Reliant Stadium Houston Texas (71,054/50,386 71%) Texas Tech (7-5) 34 Minnesota (6-6) 31. Payout $1.7 million per team. Bell Helicopter Armed Forces Bowl, Amon G Carter Stadium, Fort Worth Texas (45,000/40,754 90.6%) Rice (6-6) 33 Air Force (6-6) 14. Payout $1 Million per team. New Era Pinstripe Bowl, Yankee Stadium, New York New York (54,251/39,098 73.1%) Syracuse University (7-6) 38 West Virginia University (7-6) 14. Another football game in a stadium designed for baseball. A travesty. Payout $1.8 million per team. Kraft Fight Hunger Bowl, AT&T Park San Francisco California (41,915/34,172 81.5%) Arizona State University (8-4) 62 US Naval Academy (7-5) 28. Ditto as far as destroying a beautiful baseball field. Interesting that the company that prospered due to its Mac and Cheese is the sponsor of the Fight Hunger Bowl. Do they do take out in Haiti? Payout $837,500 per team. Valero Alamo Bowl, The Alamo Dome San Antonio Texas (72,000/65,277 90.6%) University of Texas (8-4) 31 Oregon State University #15 (8-3) 27 Payout $3,175,000 per team. Buffalo Wild Wings Bowl, Sun Devil Stadium Tempe Arizona (71,706/44,617 62.2%) Michigan State University (6-6) Texas Christian University (7-5) 16. Payout $3,350,000 per team. Franklin American Mortgage Company Music City Bowl, LP Field Nashville Tennessee (67,700/55,801 82.4%) Vanderbilt University (8-4) North Carolina State University (7-5) 24 Payout 1,837,500 per team. Hyundai Sun Bowl, Sun Bowl Stadium El Paso Texas, (51,500/47,922 93%) Georgia Tech University (6-7) 21 University of Southern California (7-5) 7. Payout $2 Million per team. Auto Zone Liberty Bowl, Liberty Bowl Memorial Stadium Memphis Tennessee (61,008/53,687 88%) Tulsa University (10-3) 31 Iowa State University (6-6) 17 Payout $1,437,000 per team. Chick-fil-a Bowl, Georgia Dome Atlanta Georgia (71,228/68,027 95.5%) Clemson #14 (10-2) 25 LSU #9 (10-2) 24. Payout $3,967,000 ACC/ $2,932,500 SEC Formerly long known as the Peach Bowl. Heart of Dallas Bowl Presented by Plains Capital Bank, Cotton Bowl Dallas Texas (92,100/ 48,313 52.4%) Oklahoma State University (7-5) 58 Perdue University (6-6) 14 Payout $1.1 million per team. Tax Slayer.com Gator Bowl EverBank Field Jacksonville Florida (84,000/48,612 57.9%) $3.5 million per team. Northwestern University #20 (9-3) Mississippi State University (8-4) 20. Payout $3.5 million per team. Outback Bowl, Raymond James Stadium Tampa Florida (65,908/54,527 82.7%) University of South Carolina #11 (10-2) University of Michigan #19 (8-4) 28 Payout $3.4 million per team. Rose Bowl Presented by Vizeo , the Rose Bowl Pasadena California (94,392/91,425 96.8%) University of Oregon #6 (11-2) 45 University of Wisconsin #9 (11-2) 38. Payout $17 million per team. Discover Orange Bowl, Sun Life Stadium Miami Gardens Florida (78,383/72,073 91.9%) Florida State University #13 (11-2) 31 Northern Illinois University #16 (12-1) 10. Payout $17 million per team. Allstate Sugar Bowl, Mercedes Benz Super-Dome New Orleans Louisiana (73,208/54,178 74%) University of Louisville #22 (10-2) 33 University of Florida #4 (11-1) 23. Payout $17 million per team. Tostitos Fiesta Bowl, University of Phoenix Stadium, Glendale Arizona (72,200/70,242 97.3%) University of Oregon #5 (11-1) 35 Kansas State University #7 (11-1) 17. Payout $17 million per team. AT&T Cotton Bowl Classic, Cowboys Stadium Arlington Texas (80,000/expected sellout 85,000+ 106% or more) Texas A&M University #10 (10-2) 41 University of Oklahoma #12 (10-2) 13. Payout $3,625,000 per team. There are 3 bowl games left before the end of the bowl season. The BBVA Compass Bowl in Birmingham Alabama which will pay the 6-6 University of Pittsburgh $900,000 and the 6-6 University of Mississippi $1,000,025 in a game which has never had more than 46,000 attendees in a stadium that seats 71,000. The GoDaddy.com Bowl in Birmingham Alabama which will pay the 9-3 Arkansas State University and the #25 ranked 11-2 Kent State University $750,000 each. Ladd Peebles Stadium seats 33,371 people and attendance has generally been in the 20,000-30,000 range. The last game of the season is the BCS Championship Game which will be played at Sun Life Stadium between the University of #1 ranked University of Notre Dame and the #2 University of Alabama will play at Sun Life Stadium which with attendance being above the capacity of 78,383. The two teams will each be paid $18 million. That is enough for today. I actually started writing this on Thursday night and got far deeper into the subject than I thought possible. I do hope my numbers are accurate because my eyes did get blurry a few times and if there are any errors in the numbers you can attribute them to my lack of math skills and blurry eyesight. The money behind these games is obscene. Almost as obscene as the air of entitlement that surrounds bowl regulars like OSU. They’d rather march on the White House than admit that their “saintly” players might have ACTUALLY done something wrong!